Epaulet ELPA Crewneck – With warm weather year round, folks in SoCal don’t know much about heavy jackets, but everyone can appreciate a nice sweatshirt. 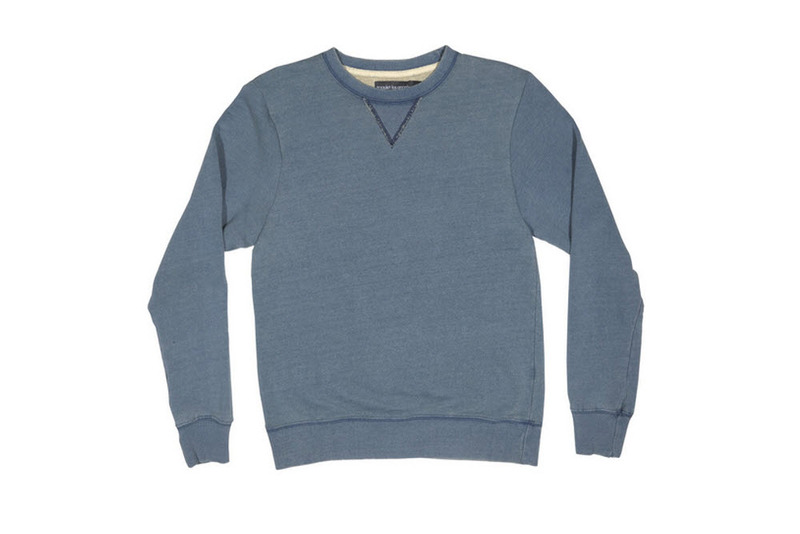 Epaulet in Los Angeles has come up with a crewneck that is good all the time. The sweatshirt starts off with a medium-weight French Terry yarn that has an interior lined with small loops. This little technical marvel allows the crewneck to dry faster by allowing air to flow. The EPLA crewneck also has a unique color that was achieved by dipping the yarn in Japanese indigo dye, and then stonewashed with enzymes until it is perfectly soft. Hey Joe Coffee Mug – The people over at Hey Joe Coffee are all fascinated by the magically roasted bean. As coffee purists they believe that coffee is intended to be hot, and they created a special mug that brews your coffee and keeps it at that perfect temperature. The mug is powered by a detachable battery that gets just hot enough to brew the coffee, and then the mug continues to keep the coffee hot. 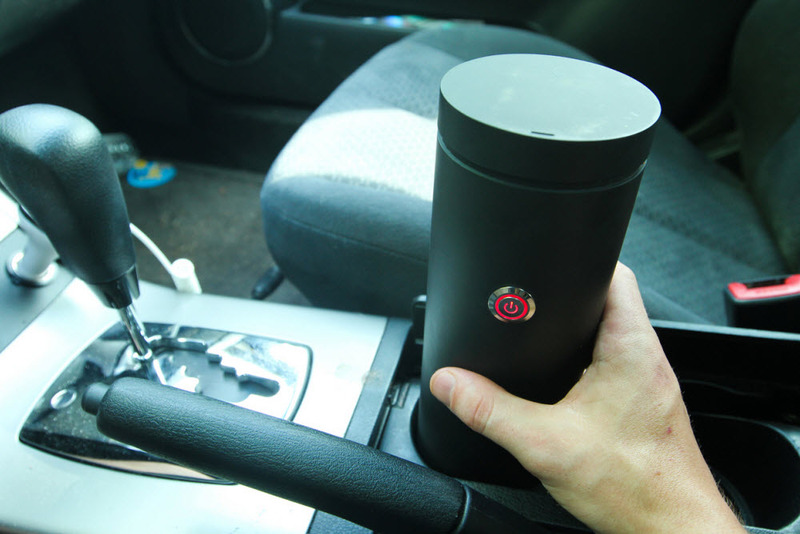 The temperature-regulating feature of the mug is what got my eyes perking up – can’t stand lukewarm coffee. The mug is currently available for pre-order for $49 through Kickstarter. Apolis Transit Issue Camp Candle – Scent is one of the stronger triggers of memory, and for some, smelling good needs to happen all the time. Even when camping? Definitely, and Apolis has just the thing. 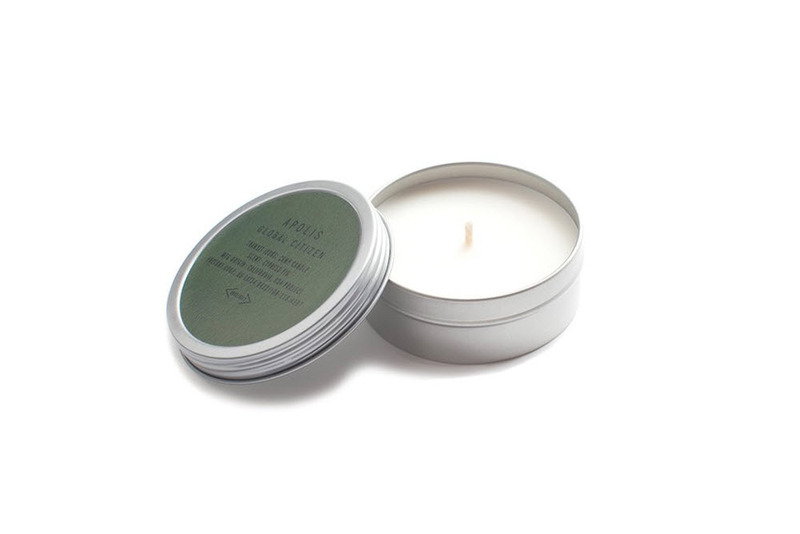 The new Transit Issue Camp Candle is a compact candle made with a rich redwood eucalyptus scent. The candle also has citronella essential oils that ward off mosquitoes and other pesky insects. Whether you’re at the campsite or just stuck in a smoky hotel room, the 4 oz compact Camp Candle will come in handy. 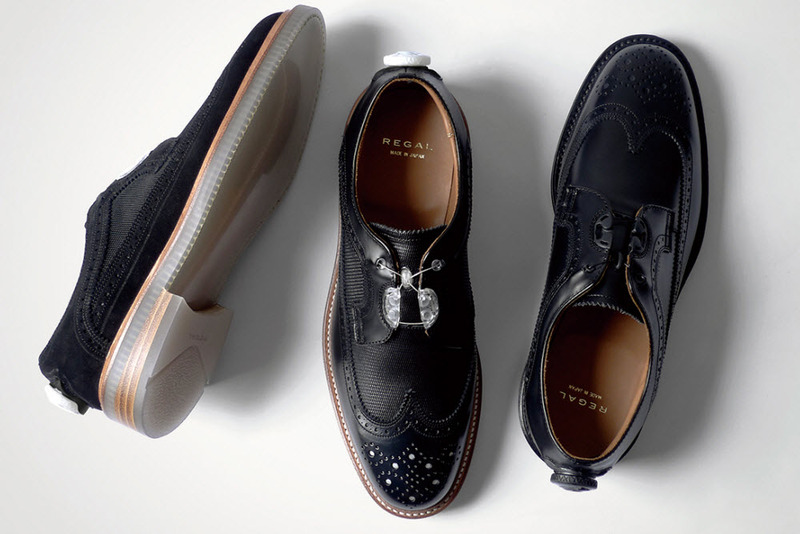 Regal Wingtips with Boa Tech – With the success of Cole Haan’s Lunargrand, it’s safe to say that integrating sneaker technology into classic dress shoes is a safe bet. This time REGAL ditches the traditional laces and goes for the Boa Technology found across PUMA’s and a handful of DC snowboard boots. The “Boa” works the same as PUMA’s Disc system to use lightweight cable to crank and tighten the fit of the shoes. Look for the Boa-equipped wingtips to be available now with a retail of $583. Medicom x Transformers – Transformers 4 is shaping up to be a blockbuster hit and Medicom is hot on its tails to create a special project. The last round saw a couple of Bearbricks, and this latest release seemingly looked no different. However, for this collaboration Medicom ditched the usual design and went to work to allow the Bearbricks to transform into their original robot counterparts. 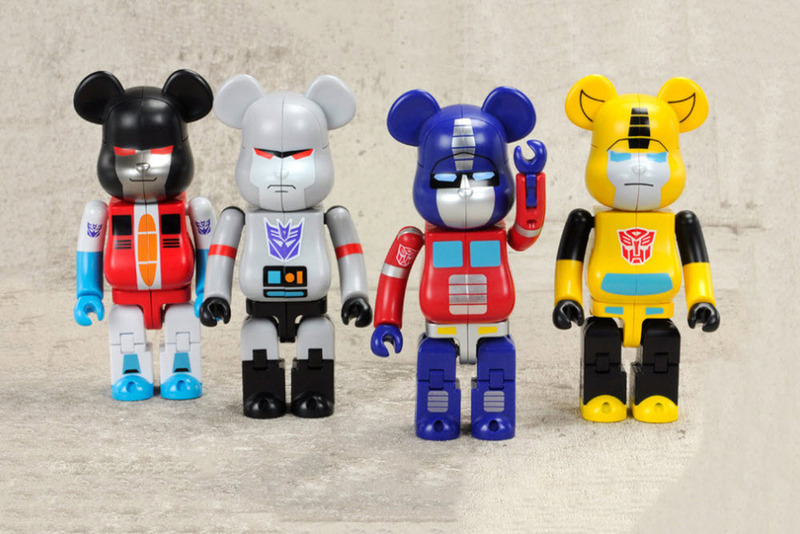 The more popular characters from the franchise like Optimus Prime, Megatron, Bubble Bee and Star Scream will make up this exclusive collection.